Tabor College received a B.
Washington Monthly's ranking of 97 out of 346 of Baccalaureate Colleges - Overall Rank was a major contributor to this grade. "This small school affiliated with the Mennonite Brethren Church and located about 50 miles from Wichita offers a liberal arts education and professional preparation in a Christian context to its student population of about 600 undergrads. Tabor's Student Activities Board provides diversions like the "80's Banquet," complete with thin ties and New Kids on the Block costumes." For over a century, Tabor College has impacted the lives of thousands of people. Established in 1908 by those of the Mennonite Brethren and Krimmer Mennonite Brethren faiths, Tabor's doors were first opened with 39 students and three instructors. Before the end of that school year, enrollment sky-rocketed to 104. Sadly, a fire destroyed the building that housed the College for its first ten years. But supporters of the College quickly joined together and built two new buildings: a dormitory-dining hall and an administration-classroom building. These buildings - the Mary J. Regier Building and the H.W. Lohrenz Building - are still in use today. While Tabor College has continued to be affiliated with the Mennonite Brethren Church, changes have been made in the organizational structure from time to time. The Tabor College Corporation owned and operated the College until 1934 when ownership was transferred to the Board of Trustees of the Conference of the Mennonite Brethren Church of North America. The College now operates under our own charter. Our Board of Directors is responsible to the Mennonite Brethren churches of the Central, Southern, Latin America, and North Carolina districts. Tabor College also formed an extension of the main institution when Tabor College Wichita opened offices in 1993 and the first classes began the following year. Undergradute and graduate degrees have been offered in Wichita. As a college that is owned and operated by the Mennonite Brethren Church, Tabor College accepts and seeks to follow the Confession of Faith of the General Conference of Mennonite Brethren Churches, adopted in 1975 and subsequently revised. Mennonite Brethren doctrines are in agreement with those of most evangelical Christians. Campus housing is available for undergraduates. Housing deposit : $175.00. Housing deposit due : Aug 1. Housing deposit is refundable in full if student does not enroll.. Freshman allowed to have car. No pets. 84% of students live on-campus. 26% of students graduated in the top quarter of their class. The average student pays $22,091 for tuition, fees, and other expenses, after grants and scholarships. Total stated tuition is $22,000, in-state and on-campus, before financial aid. Learn more about financial aid at http://www.tabor.edu/admissions/tc-admissions/financial-aid. Estimate the net price for you at http://www.tabor.edu/admissions/tc-admissions/financial-aid/scholarship-calculators/net-price-calculator. Tabor College participates in the NAIA Division II for college athletics. 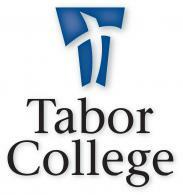 Want more info about Tabor College? Get free advice from education experts and Noodle community members.